Games and gaming technology have moved beyond the traditional domain of entertainment since gaining popularity within healthcare education. Limitations of VSG development included the high cost of gaming software, time commitment for development, and significant manpower including computer programmers, subject matter experts, learning theorists, game designers and instructional design specialists. This accounts for the prohibitive cost associated with game development. This is especially problematic as VSG are an ideal platform for Interprofessional education (IPE). To address this issue, the authors of this workshop developed a cost-effective VSG development platform. This webinar will highlight a user-friendly approach to virtual simulation game development. Understand how virtual simulation games are currently used in nursing education. Explore future potential applications of virtual games as a teaching modality. Describe a user-friendly cost-effective approach to developing virtual simulation games. Discuss current research gaps and opportunities. This free, one-hour webinar will be of particular interest to anyone working in the Canadian health care system as well as educators who use, or are interested in using or learning more about simulation learning and related instrument development approaches. 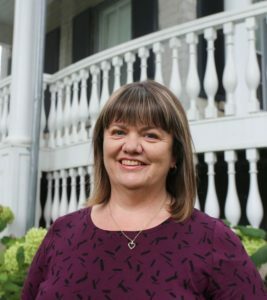 Dr. Leslie Graham is Coordinator of the RPN to BScN Bridging Program, and Professor, Nursing/Adjunct Professor at the University of Ontario, Institute of Technology –Durham College (UOIT-DC) Collaborative Nursing Program. 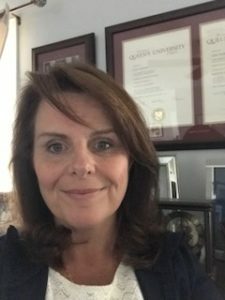 Currently a doctoral student at the University of Western Ontario, where her research interests involve faculty development for simulation-based learning in nursing education, Ms. Graham elevates simulation as pedagogy through national and international presentations and publications. Being a passionate educator, Ms. Graham has received several awards in recognition of excellence in nursing education. As result of early work in simulation-based education, she was the recipient of the American Journal of Nursing Book of the Year. If you have any questions or would like more information about the course, please contact Julia Thomas, Education Policy Coordinator by email jthomas@casn.ca or phone 613-235-3150 ext. 135.